How do I change/edit a punch or time entry? Or add a break? 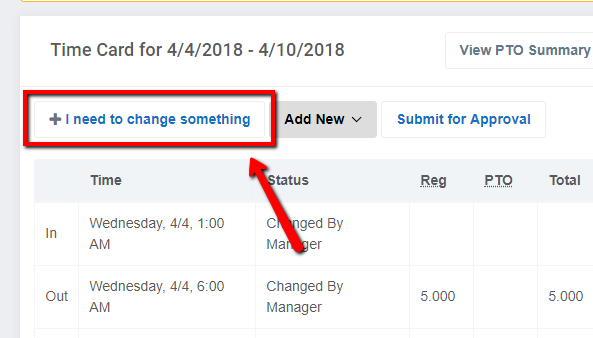 Users can add time to their time card by requesting changes or edit time entries. 3. The system presents you with an option to add a new punch, change a punch, or add a break. Click the corresponding buttons to make a change.